Lakewood offers residents many advantages from easy access to the mountains and great ski resorts to the conveniences of daily life. The Denver area is home to many great major employers and universities and Lakewood offers residents the perfect home base. Our Lakewood apartments are conveniently located near the RTD Light Rail, which makes getting around the Denver area easy. Whether commuting to work or heading downtown to catch your favorite band in concert, you’ll appreciate the ease of traveling to and from The Crossings at Bear Creek Apartments. And the beautiful view of the Rocky Mountains and Bear Creek don’t hurt either. For families with school-aged children, we’re conveniently located near Bear Creek High School and Bear Creek K-8 School. Nearby major employers include ADT, Target, Walmart, and Buckley Air Force Base, among many others. The nearby RTD Light Rail and Kipling Parkway make commuting to work a breeze. With grocery stores, hospitals and medical centers, banks, and parks located close by, you’ll appreciate the casual convenience of living in Lakewood. Looking for some fun and entertainment? You don’t have to travel all the way into the city to take advantage of entertainment options in the area. Catch a movie at AMC Bowles Crossing 12, shop for your best friend’s birthday present at Colorado Mills, and enjoy dining out at one of the area’s best restaurants. Piggin’ Out Bar-B-Que offers highly rated BBQ eats and at Namaste Restaurant you can try cuisine from Nepal. However you wish to spend your free time, you’ll love living in close proximity to everything you’d ever desire. 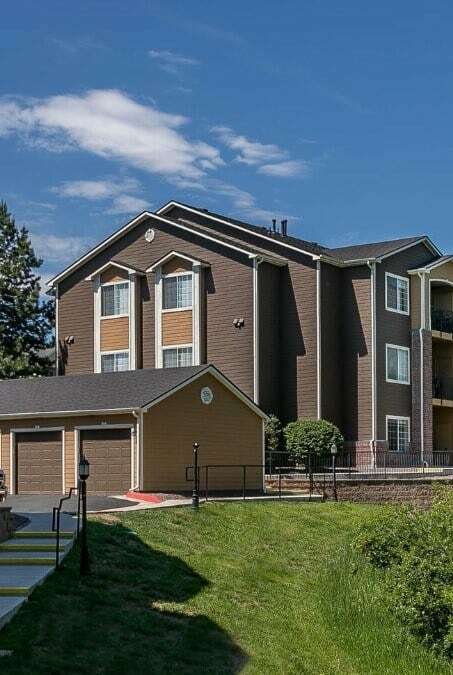 Contact The Crossings at Bear Creek Apartments for more information about our Lakewood apartments near the RTD Light Rail.